Low stomach acid is more to blame than too much stomach acid for the common indigestion symptoms associated with aging. Causes of low stomach acid can vary. What makes some people able to handle the occasional gastronomical indulgence while others seem doomed to pay a high price? The answer may lie in how much stomach acid that individual produces or whether they have shut off that production with “the purple pill,” thinking it’s the right thing to do for relief from indigestion symptoms. 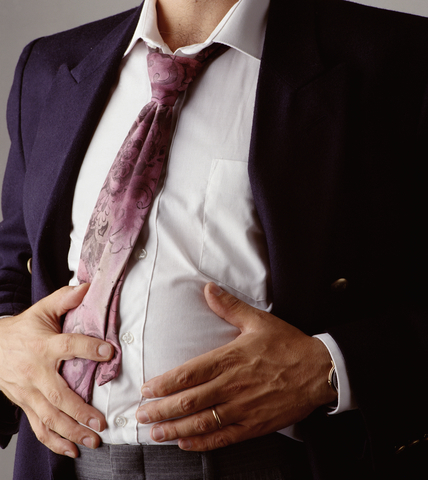 Can Low Stomach Acid Really Cause Heartburn? The fact is that what causes heartburn and other signs of poor digestion may be the common age-related problem of low stomach acid. Another research study published in 2012 concluded there was a direct association between indigestion symptoms and low stomach acid, especially in the female patients who participated in the study. The condition of low stomach acid production is officially known as hypochlorhydria. When the Gastrointestinal Center at the University of Manchester in Manchester, England, conducted the aforementioned study on low stomach acid, its authors detailed recent discoveries about how aging affects digestive function. The researchers confirmed what many naturopathic and integrative medicine practitioners have been championing for years—that aging and other factors lead to decreased stomach acid production, and hypochlorhydria symptoms can cause not only uncomfortable digestive issues but more serious problems as well. According to the University of Manchester researchers, low stomach acid is the primary age-related change that occurs in the stomach and may predispose aging individuals to malabsorption or bacterial overgrowth further along the GI tract. Despite the common belief that most people have too much stomach acid, the truth is that most don’t have enough. It is estimated that between 23 and 35 percent of those over 65 have symptoms of low stomach acid as a result of just getting older, while others have it as a result of taking drugs designed to reduce stomach acid production or infections with h. pylori, the bacteria that causes stomach inflammation and ulcers. Can low stomach acid cause gastritis? The consequences of low acid symptoms or hypochlorhydria include indigestion symptoms, gastritis symptoms, and low stomach acid pain. Hydrochloric acid is normally secreted by the stomach to perform a very important function: to enhance the breakdown and subsequent absorption of the food and nutrients consumed. So part of the cost of low stomach acid is malabsorption or an inability to properly digest and absorb vitamins and minerals. This is not only what causes heartburn and leads to the indigestion symptoms, gastritis symptoms, and other symptoms described above; it also leads to osteoporosis, weakness, fatigue, cramps, anemia, and other nutritional disorders. Stomach acid also serves a protective function, killing various pathogenic microorganisms that might otherwise cause infection in the gastrointestinal tract. The strong acid kills the various fungi and bacteria that are on the foods we eat. With too little stomach acid, you lack this protective function and you get an overgrowth of “bad” bugs, such clostridium difficile or candida in your GI tract. 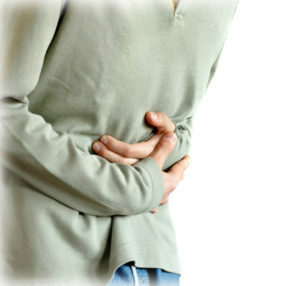 The result is often a loss of the friendly bacteria, nausea, gas, bloating, diarrhea, constipation, and other symptoms. Consult your primary physician to develop a plan to treat low stomach acid. Proc Nutr Soc. 2012 Nov 12:1-5. J Gastroenterol. 2012 Jul 25.
aging, anemia, bacteria, bloating, can low stomach acid cause gastritis, clostridium difficile, constipation, cramps, diarrhea, digestion, digestive, Digestive Issues, food, gastritis, gastritis symptoms, gastrointestinal, h pylori, heartburn, hypochlorhydria, indigestion, indigestion symptoms, infection, inflammation, integrative, integrative medicine practitioners, low stomach acid, low stomach acid causes, low stomach acid symptoms, naturopathic, nutrients, osteoporosis, pain, stomach acid, stomach inflammation, symptoms gastritis, symptoms of low stomach acid, ulcers, vitamins, vitamins and minerals, what causes heartburn. I found this article very informative and I am suffering from stomach problems for years but now I am making changes to improve my diet and keeping record of your recommendations, thank you. The problem is the medical experts don’t recognise low acid stomach as a condition. Not even Gastroenteroligists recognise it as a condition. So who can you go to for help?